Since the launch of our brand-new website, we’ve been busy collaborating with our partners in the United Kingdom and much further afield. 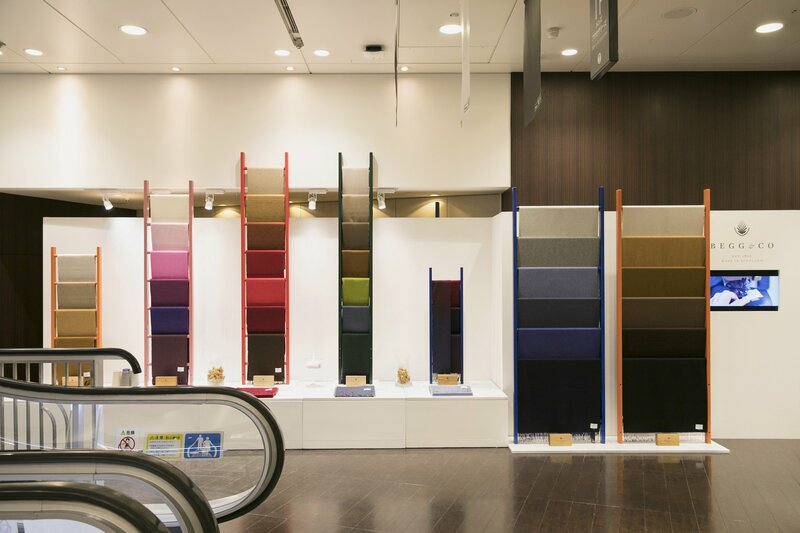 Internationally, our collection of coloured Arran scarves have been showcased using boldly coloured ladders in a number of pop-up collaborative spaces within iconic, well-known department stores. Situated in one of Tokyo’s most prestigious districts, The Sovereign House at United Arrows hosted the special Begg & Co installation, which also appeared at Isetan’s flagship store Shinjuku – often referred to as one of Japan’s most elegant examples of 1930s commercial architecture. Bergdorf Goodman on New York’s Fifth Avenue and long-established Wako, in the heart of Tokyo’s shopping district, Ginza were the next collaborators to take part, with Hankyu Osaka scheduled to display the Begg & Co pop-up alongside some of the world’s leading brands from mid-December 2017. 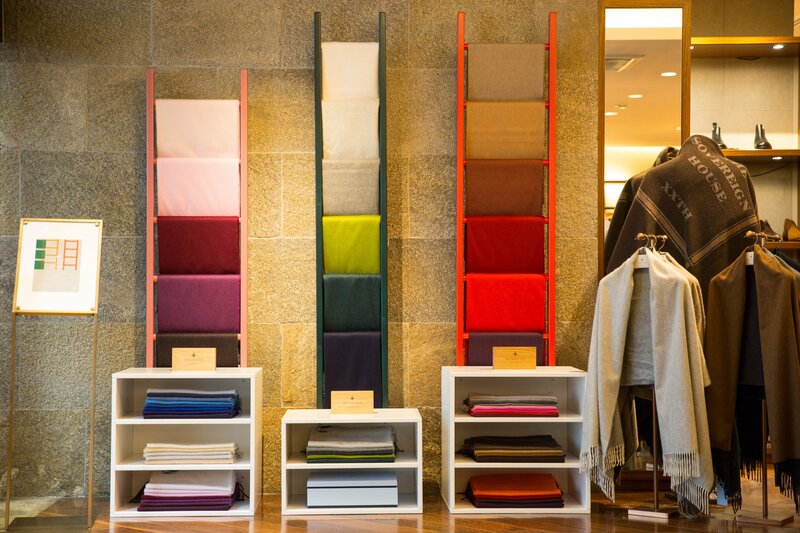 Trunk shows have also recently taken place at SKP Beijing and Shanghai lifestyle store Catie Lo.